shifting that extra stone/14lbs/6kg and not giving into any unhealthy temptations whatsoever. With an estimated 14.5 million adults making New Year’s resolutions that focus on fitness and health, self-improvement (or, at least, the desire for self-improvement) is a national hobby here in the UK. Yet very few of us – some estimates say only around 8% – achieve their New Year’s resolutions. If this is the case, and if the true definition of madness is ‘repeating the same action, over and over, hoping for a different result’, then this year we have to mix it up a little if we’re going to achieve our goals. Sometime, it’s helpful to have a little extrinsic motivation to keep you going. It might be that you agree to do something with friends, or perhaps the thought of raising money for charity will spur you on. Several friends have told me how they managed to while away the time whilst running marathons by calculating how much each step/km/mile was worth to their chosen charity in terms of sponsorship. If the thought of losing the pounds by spending endless hours on a dreadmill makes you worry about losing your mind, then how about the idea of getting your mates together to take part in a Human Race Macmillan Cycletta? These women-only bike rides are set in stunning, family friendly host venues. There is also a range of distance on offer from 50-150km. There are five events around the country featuring spectacular routes between 50km and 150km, taking place in Bedfordshire, Surrey, the New Forest, Cheshire and Scotland. 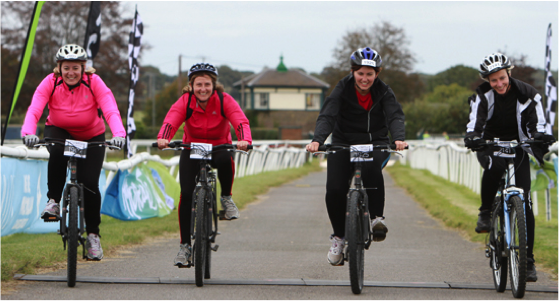 If you’re not female, or want to take part in a mixed-gender event, why not search for a local sportive? Alternatively, if you visit the website of a charity that you’d like to support, they may have places on events you’d like to enter or might host their own events. If you’re worried that you’re not fit enough to do an event yet, perhaps you could volunteer so that yu witness the wide range of ages, sizes and abilities who participate in most sporting events. 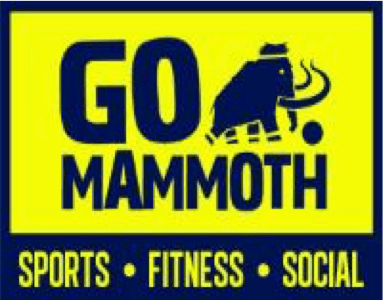 Rekindle your high school love of netball, volleyball and dodgeball, or try something completely new like boxfit or Insanity classes with social sports clubs such as GO Mammoth, the UK’s largest social sports and fitness club. These kind of clubs exist simply to make your life more fun and social, without the seriousness and commitment involved in joining a specialist sports club or gym. If you’re in North American, you might be able to join November Project: http://november-project.com/ It’s a fantastic FREE fitness movement. If you’ve been to session, please share your thoughts in the comments below. 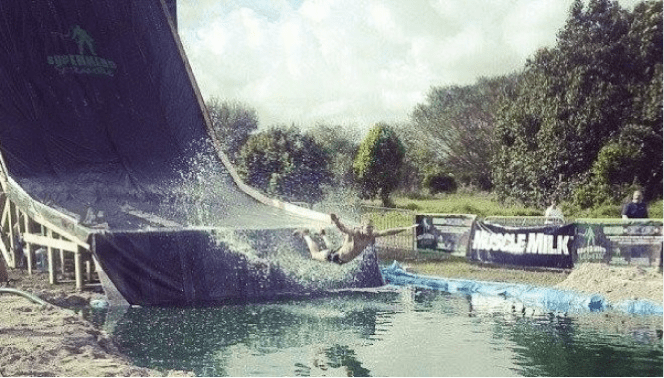 Why not kill two birds with one very muddy stone – have fun with your friends AND try something new by taking part in a muddy obstacle course run! Bonus if you raise money for charity whilst doing it. Such events have rocketed in popularity during 2014, and look to be even bigger and better in 2015. I absolutely HATE mud (and will be looking after my ‘new’ eyes), so am unlikely to do an obstacle race in 2015, but I have set myself the challenge of continuing with something new: crossfit. I’m now going to sessions offered by my Uni tri club (SUTRI) every Monday and hope to continue doing so in 2015. The problem with deciding to completely overhaul a lifestyle is that it can often be a case of biting off more than you can chew. So, when making dietary changes, start small. Set a few realistic goals – in the long run, the boost of actually sticking to them will up your confidence and self-esteem, helping you to make even better changes. Gradually switching to a healthy eating style (not dieting!) 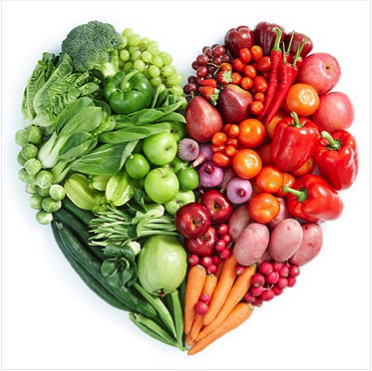 such as clean eating can make a massive difference to your wellbeing without being overwhelming. My sister and her fiance bought Stuart and I a Nutribullet blender for Christmas, so we’re hoping to drink lots of heathy smoothies in 2015… and I am planning to lose at least 15lbs, but more on that in another post! Cut down on alcohol & fizzy drinks. Stay hydrated! This challenge isn’t so hard for me. I very rarely drink alcohol and try not to drink coke too often. I drink water almost all of the time. Did you know that a big bottle of a juice-based drink can contain 300 calories – and those calories add up. Instead, think about switching to something like nuun, light and refreshing sugar-free hydration tabs which you simply drop into a bottle of water to get a great taste AND stock up on the essential electrolytes you lose during everyday activity. 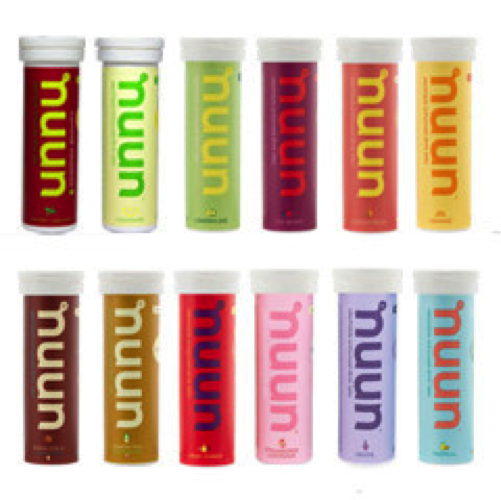 One nuun tube has enough tabs to make twelve 16oz (500ml) hydration drinks. It’s sturdy, waterproof and easily fits into a gym bag, bike jersey, purse, or pocket! Sorted. So – there are some of my basic thoughts about New Year’s Resolutions… but as I mentioned, I have some very clear goals that I will be sharing in the next couple of weeks. What are your goals, plans and dreams for 2015? I just had a look at the BQ times (and compared them with the London Marathon Good for Age times). For men, I think most of them are slightly slower than for London (with the exception of 18-34); it’s the opposite for women, where almost all of the times are tougher for women. I would need to train exclusively for marathons for a couple of years to have any hope of making the grade! (But maybe one day I’ll manage it). My husband is running London in April. He ran his first marathon in 3:15:26 – he was aiming for sub 3:15, which was the London GFA time at that time, but the course was flooded and nearly 27 miles long, so he missed it then. He’s run 5k in 18:30; 10 miles in 62 mins and HM in 1:25, so I think he can get sub 3:05 with the right training. Good luck with your training – I hope you make it! Welcome 🙂 Happy New Year!